The new Renault Twingo, which will officially released at the Frankfurt Motor Show by Chief Operating Officer, Carlos Tavares on 13th September 2011, will be the first model to feature Renault's new design identity. The car has new grille and headlight arrangement featuring a larger, more prominent diamond badge. The tail lights have been split into two separate units and it will now have a pair of prominent circular spotlights. Among other changes, the car will feature an upgraded cabin, with higher quality trim. The car will feature the same engine but will come with some improvements. The series offers 1.2-litre petrol and 1.6-litre four-cylinder petrol engines. 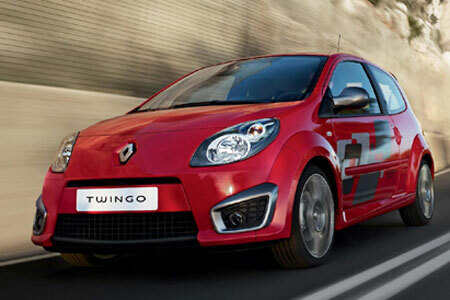 The company is aiming to reduce emission to 100g/km of CO2 for road tax-free status for Twigo from 119g/km. the company released the first picture of the model ahead of its official release.